i have a super bright and happy card to share with you today.I used dylusion sprays to create the background,i just love how bright and intense these colors are,and this is after diluting it with lots of water.I have used newly released "Inverted scallop circle die" from DCAM. I combined lots of different elements like stamped images,die cut flourish and mulberry flowers,and i love how it turned out. Checkout DCAM blog for projects using the newly released dies. Loving this colorful card. 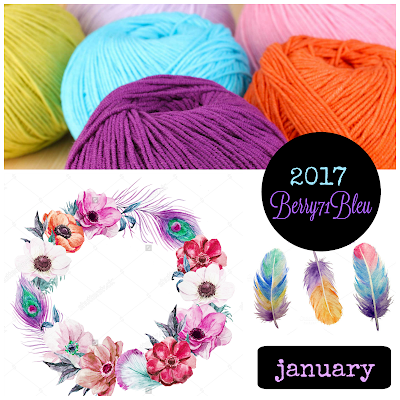 Thank you for entering our Berry71Blue "A Pop of Color" January challenge.